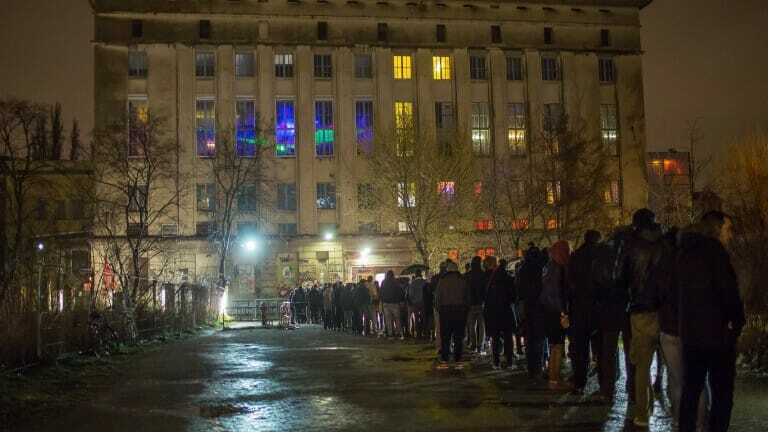 Thousands of hopeful clubbers descend upon the infamous Berlin club Berghain each year in hopes of experiencing the revelry hidden within its mysterious doors. The elite group of patrons who have made it in past the club’s discerning lead bouncer, Sven Marquardt, report that nights within Berghain’s hallowed confines are phenomenal sensations. The club’s sensation comes not just from its musical prowess, but also from its gender neutral atmosphere and strict emphasis on living in the moment, focusing purely on music. Getting into Berghain is certainly a feat, but so too must be Sven’s decision-making process. A group of developers began questioning what it’s like being Sven, or one of the other well-trained bouncers whose job it is to ensure the right people get in and maintain the aspects that make Berghain legendary. Surely, learning to choose the proper attendees is as daunting a process as learning to gain access to the club. “Berghain ze Game” manifested as the result of these developers’ curiosity. Designed as a live card game, players find themselves in the bouncers’ shoes, encountering every kind of stereotype possible typically appearing in line each weekend such as “leather daddies” and “ketamine tourists”. The game’s mission “is to let the right people into legendary Berlin techno club Berghain. Take turns as the most powerful man in Germany and learn more about gay culture in the process!” according to its description. A Kickstarter campaign will be launched to help fund the game in the near future, developers report.